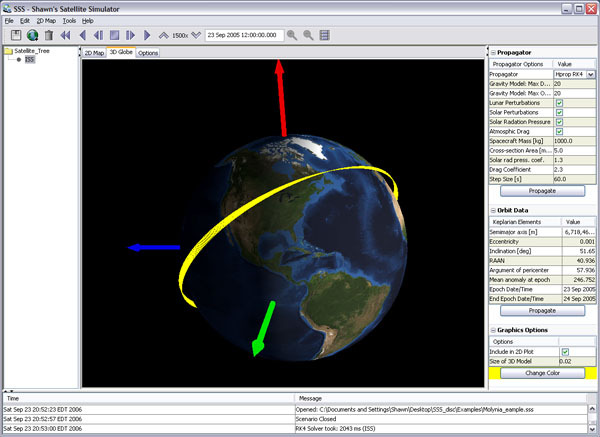 Shawn's Satellite Simulator is a Java-based application that propagates Earth orbiting satellites and graphically visualizes their orbits in both 2D and 3D. 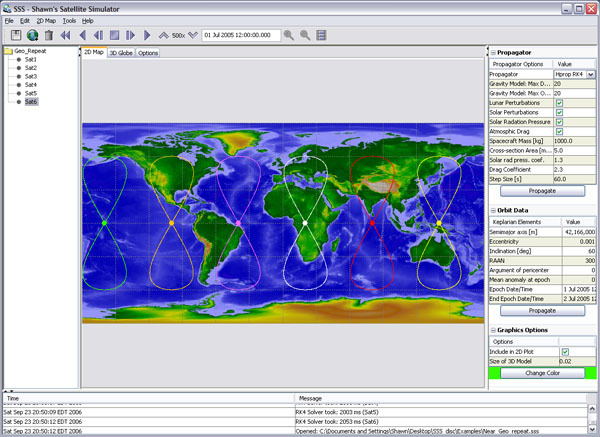 The program can be used to explore the Keplarian elements commonly used to descibe a satellites' orbit. 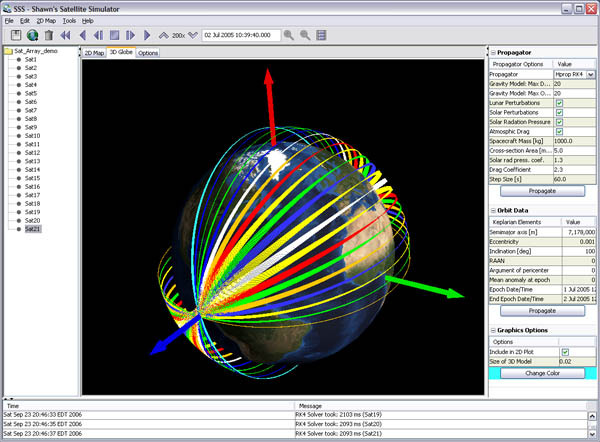 Includes stars, 3D satellite view cones, and Runge Kutta HPROP 8/7-8 propogators.